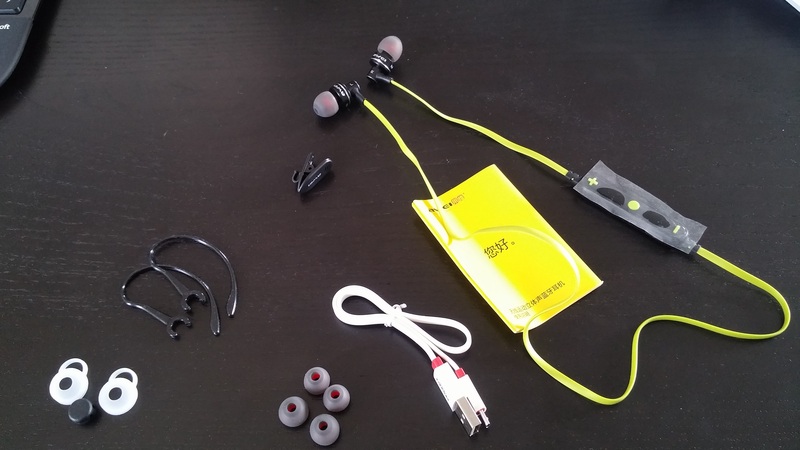 Review: Awei A990-BL Wireless Sport Bluetooth Earphones – Avoid! After some scratching around on Takealot.com, our otherwise wonderful local Amazon-analogue, I settled on the Awei A990-BL Wireless Sport Bluetooth Earphones. DO NOT under any circumstances buy the Awei A990-BL Wireless Sport Bluetooth Earphones. They have attained the rarely awarded “cpbotha.net THREE (3) thumbs down, avoid at all costs” review. None of the three sets of silicone earbuds were large enough for my ears, an issue that was easily solved by using a set of my old Sennheiser buds. My last Skullkandy earphones had the same issue, so I’m ascribing it to my anatomy and not to Awei. 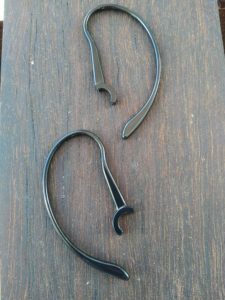 During the first run with these earphones in the wind (when one also really notices how the control unit, a few centimetres from one’s right ear, can really flop around), I realised that the curved ear hooks were definitely necessary. 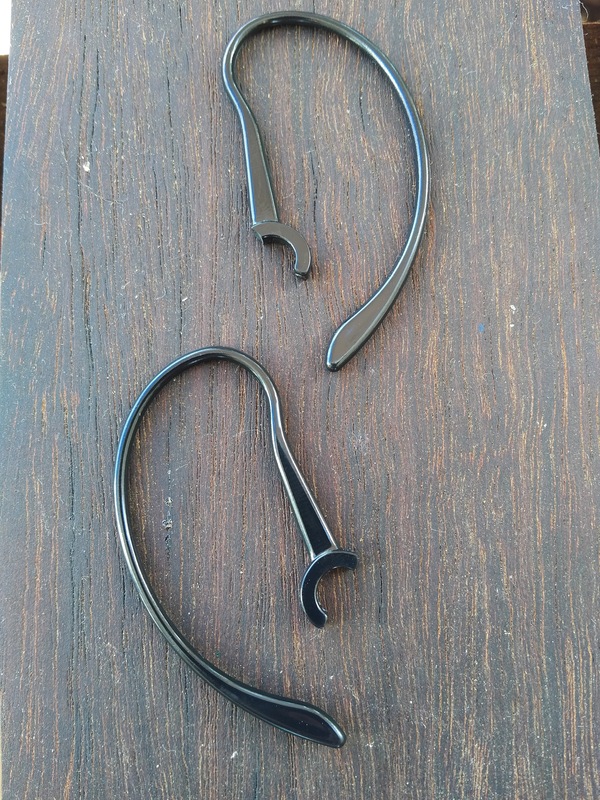 For the next few runs, I had them clipped onto the earphones and they made a huge difference keeping music in my ears. Besides the breakage, I also noticed from the start regular little breaks in the music transmission from the Gear Fit 2 to my ears. It’s possible that these were somehow caused by the unit’s movement during my exercise. I take this opportunity to remind the reader of the “sport” classification of this Awei product. It could also be that the Gear Fit 2’s bluetooth implementation is sub-par, but, unlike the Awei, it’s an a-list product. In the following weeks I will be able to test this hypothesis with alternative hardware. About 25 calendar days after purchase, the unit spontaneously died during a run, a disappointment in itself. At first I thought that it was simply the battery that was exhausted. However, no amount of charging back home could revive the earphones. My Awei A990-BL earphones remain completely dead to this day. After two failed attempts, first with the Bluedio Ci3 and then with these Awei headphones, I have decided to go a different route with the Samsung Level Link bluetooth adapter. I’ll be able to use any wired earphones (at a much better price-performance ratio, and also much easier to replace) and just plug them into the Samsung Level Link, which will connect wirelessly to the Gear Fit 2. < Massive fires around here, thanks to firefighters my neighbourhood escaped! Related posts: 🌤 The Bluedio Ci3 bluetooth earphones will probably not fit your ears either. 🌤 Weekly Head Voices #113: Science and Creation. 🌤 Samsung’s 960 Pro M.2 NVME SSD is lightning fast in synthetic benchmarks, not so much in real-world.